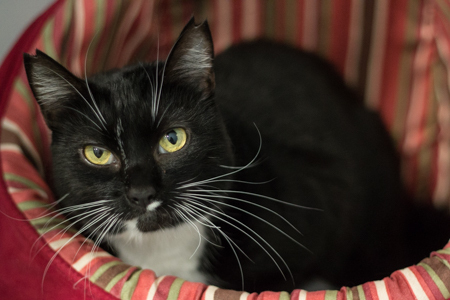 Why hello there — my name is Bootsie and I am a delectably sweet 6-year old girl looking for a quiet home to relax in. I have lived peacefully with many other kitties, but I’m very submissive so would do best either as an only kitty or with another calm kitty who won’t bully me. I can be a little shy at times but quickly melt into a puddle of sweetness whenever a kind human offers me affection and pets. I have lived outdoors in my past, and have gladly left the outdoor lifestyle. I think I’m made for the indoor life — a life of laps, lunchtime, and laziness is all I need! Okay, maybe a little play-time, too! Are you searching for a sweetheart like me? I’m currently out at PetCo on 122nd & Division — stop by and meet me today! 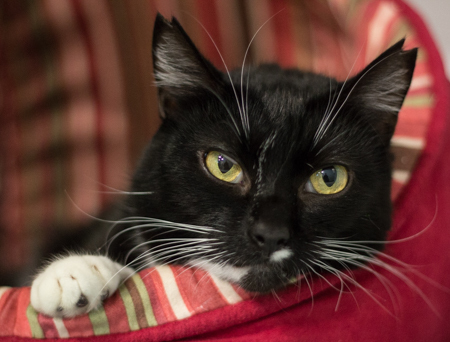 I come to you spayed, vaccinated, and micro-chipped for an adoption fee of $100.